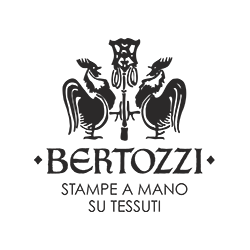 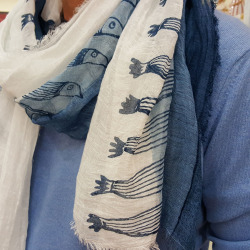 Scarf with sardines print Panarea Collection Stamperia Bertozzi. 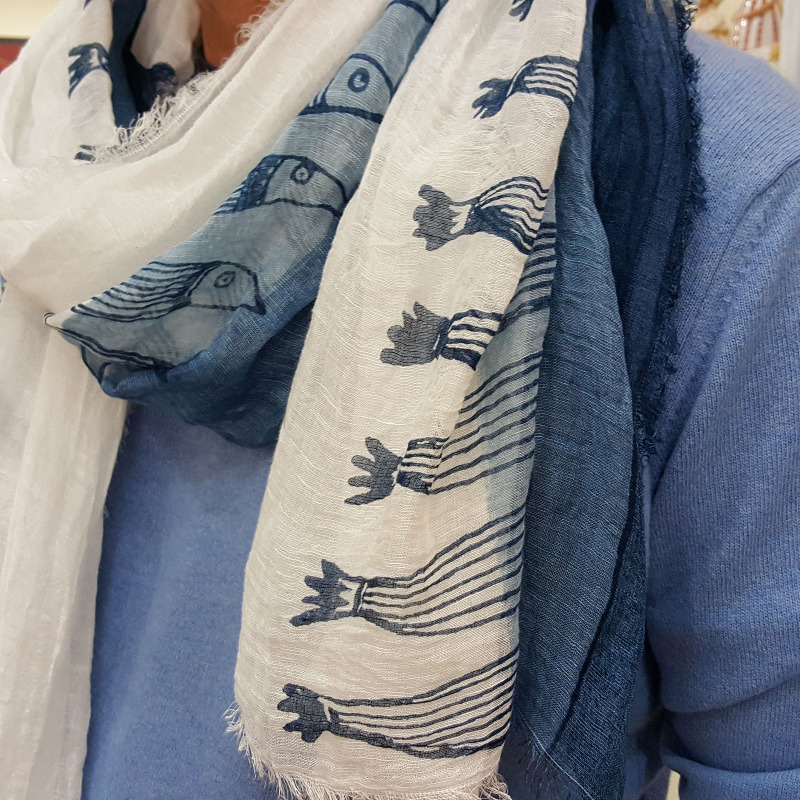 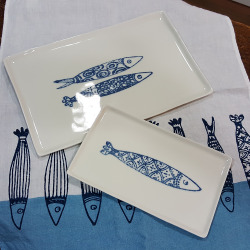 Wide scarf hand-printed by skilled artisans with modern design with sardines. 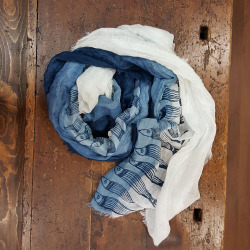 The fabric composition includes (beyond linen and silk) the use of MODAL, a natural fiber obtained from cellulose pulp.